Because Alcoholics Anonymous (AA) and other 12-step groups are so well known, they have come to be known as the golden standard in recovery treatment. But the truth is: AA is not a fit for everyone. For those that feel more like the black sheep rather than a member of the AA flock, this can increase existing feelings of low self-worth and shame (“I even fail amongst a group of other addicts”). 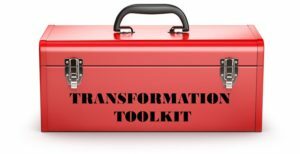 For the fortunate ones that find comfort and fellowship in AA recovery, most will achieve greater success by adding variety and supplemental supports to their “recovery toolkit” (let’s face it, no singular coping tool works for everyone or every situation). Being intentional in collecting resources for your recovery toolkit greatly increases your ability to live a life of contentment and quality. When your “coping” has been something like substance misuse, you can’t just quit substances and not replace your previous coping strategies with other things. Reconnect with what gives you joy and pleasure. The longer we are entrenched in patterns of substance use, the harder it can be to remember the simple things in life that offered us enjoyment. These are not the grandiose events such as vacations and celebrations – these are everyday things such as the pleasure found in reading the Sunday paper uninterrupted, the smell of the ocean, watching your favorite comedian, music that moves you, the smell of lilacs, the crunching of Autumn leaves under your feet, or baking cookies to gift to someone. Compiling these small pleasures into a list can help you recall joy in times of distress and implement changes to nurture yourself. *The reason to compile a list is that in times of distress, we are not able to access our prefrontal cortex (the executive functioning part of the brain responsible for sound decision making). Drugs and alcohol also impede our ability to access our prefrontal cortex, which is why we are prone to making poor choices while under the influence…sound familiar? ☹). Establish a routine. You will be more successful in recovery and reaching your goals if you have realistic routines that include self-care strategies. Consider ways to enhance your spiritual well-being. This need not be attending church or embracing religiosity. Spiritual well-being can be enhanced by being in nature or engaging in artistic or athletic pursuits like painting or running. The idea is to pursue what makes YOU feel a sense of contentment or vitality. Prioritize your mental well-being. Most people who have engaged with maladaptive coping behaviours have unresolved trauma. Working with a mental health practitioner can help alleviate the pain and limitations this pain has had on your life. Stop pursuing “happiness” and instead focus on cultivating meaningfulness and purpose. Renowned Jewish psychiatrist and neurologist Viktor Frankl, a man who survived a Nazi concentration camp and lost most of his family (including his pregnant wife), believed that meaningfulness matters more than happiness. Frankl asserted that it is the very pursuit of happiness that thwarts happiness. Prioritize social well-being. We humans need connection to thrive. Newer research asserts that the opposite of addiction is not sobriety, it is connection (see the works of Bruce Alexander, Gabor Mate, and Johann Hari for more on this). For those in early recovery, connecting with others in environments that don’t have substances can seem especially hard to find (apart from 12-step and SMART meetings), but connection can occur anywhere. Most people experience positive interactions with others while on vacation. We are more apt to strike up conversations with strangers when away from our daily routines and experience meaningful connection (even if only brief) from those we engage with. Why is this? Because we are more present when on vacation and enjoy the benefits of “living in the moment”. We can learn to be more mindful on our everyday life by practicing mindfulness. See here for more on mindfulness: https://blacksheepcounselling.com/2017/05/mindfulness-shmindfulness/. Try to find avenues in which to practice generosity. Research shows that when individuals engage in generous and altruistic behaviour, circuits in the brain are activated that foster life satisfaction and overall well-being. There is a saying that “no act of kindness, no matter how small is ever wasted”. This can be as simple as sharing with someone something you admire about them. Prioritize healthy eating. We feel better when our body and brain are properly nourished. Consider Complementary and Alternative Medicines (CAM). The National Center for Complementary and Integrative Health (NCCIH) classifies most complementary health approaches into one of two subgroups: 1) natural products, including herbs, vitamins, minerals, and probiotics, often sold to consumers as dietary supplements; or 2) mind and body practices, including a large and diverse group of procedures or techniques administered or taught by a trained practitioner or teacher. These include but are not limited to yoga, chiropractic and osteopathic manipulation, meditation, massage therapy, acupuncture, relaxation techniques, tai chi, qi gong, healing touch, hypnotherapy and movement therapies. Other complementary health approaches include traditional healers, Ayurvedic medicine, traditional Chinese medicine, homeopathy and naturopathy. For additional information see the NCCIH Web site. Practice acceptance and forgiveness toward yourself. Engaging in maladaptive coping behaviours does not make you a “bad” person – it is often simply an attempt to alleviate pain and anxiety. It is evident that the fellowship, the spiritual element, the nature of generosity and purposefulness found in sponsorship, the practice of gratitude, and the routine established in the 12-step program are all important elements contributing to wellness. If 12-step groups do not feel like a fit for you, such enhancements to your well-being can be achieved in other realms providing you are intentional and prioritize the varying facets of well-being (biological – social – psychological – spiritual). Recovery, like life, becomes much more manageable when you’ve got the right tools!